This 2200sf wine store, DomaineLA, on Melrose Avenue in Los Angeles, is highlighted by a field of 48 ceiling-mounted spun aluminum hemispheres. These hemispheres, which act as light shades, are 36” in diameter and are painted in three different shades of glossy purple. 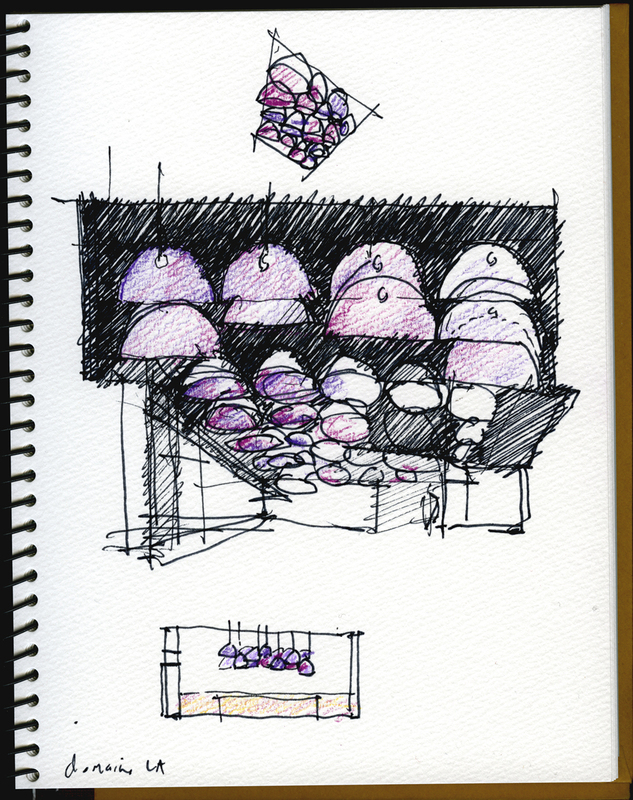 They occupy the center space of the store, demarcating a social area for reading about and discussing or tasting wine. 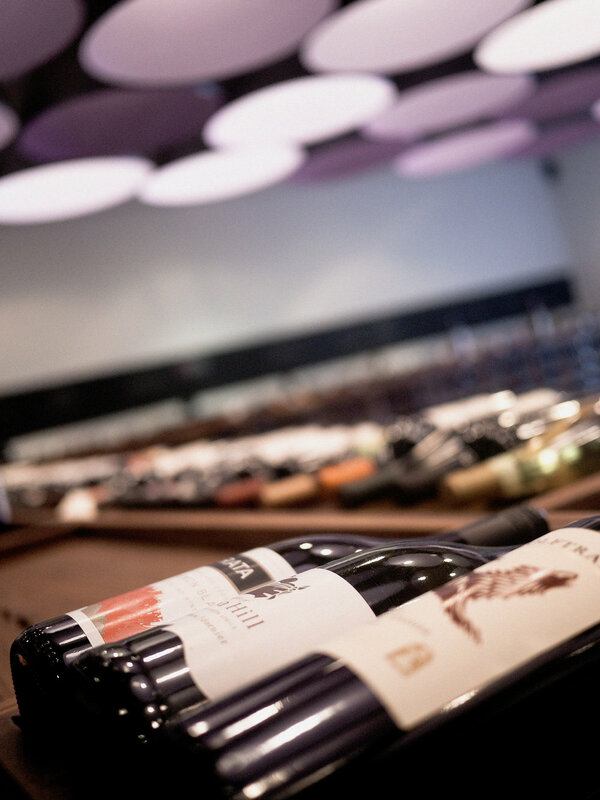 The wine selection itself is displayed in custom walnut racks and trays that ring the perimeter of the store. A chalkboard strip runs around the perimeter of the retail floor – this allows the owner to note special selections or offers and arrange the wines flexibly by varietal or region. This 2200sf wine store, Domaine LA, on Melrose Avenue in Los Angeles, is highlighted by a field of 48 ceiling-mounted spun aluminum hemispheres.